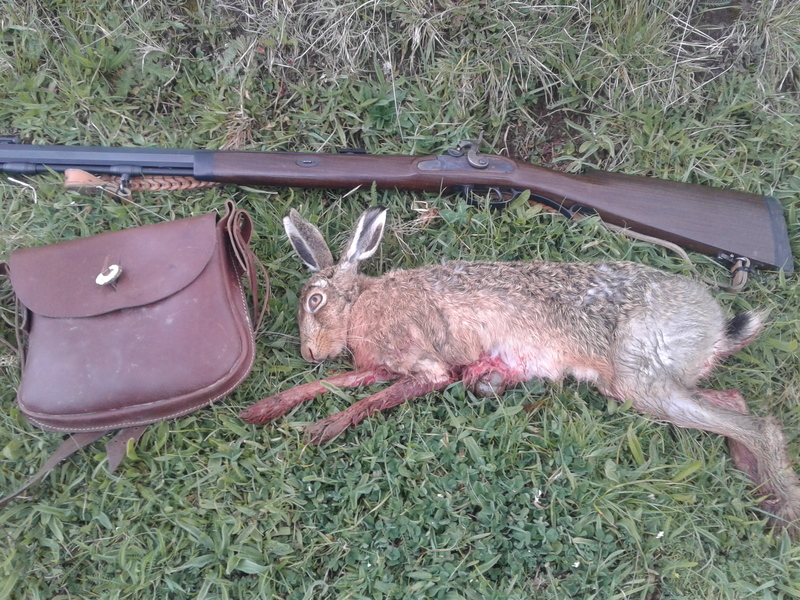 I went for a quick look for a rabbit or hare before dinner.This is the oldest rifle I've shot a hare with. @john m that is a very tidy Stevens Favorite !!! Original or refinished ? 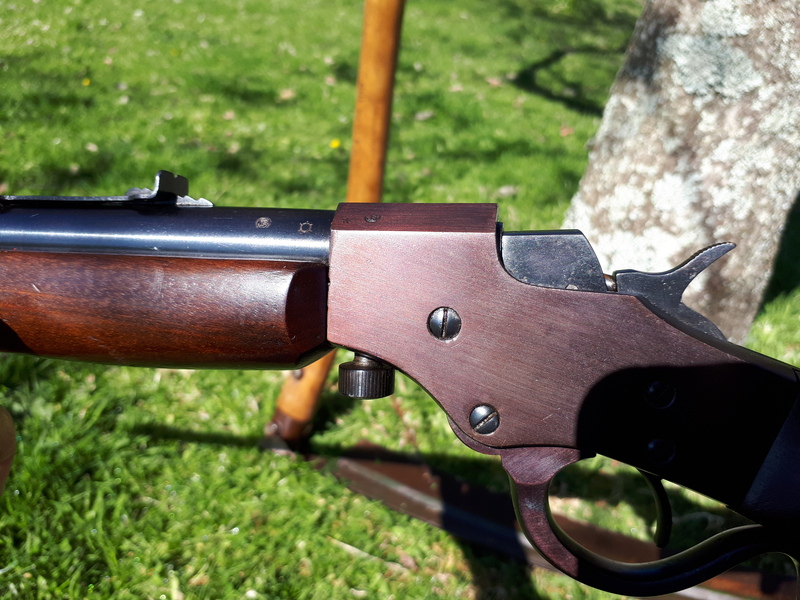 I have been laying into the hare's with my muzzleloader as practice for chasing a deer soon. 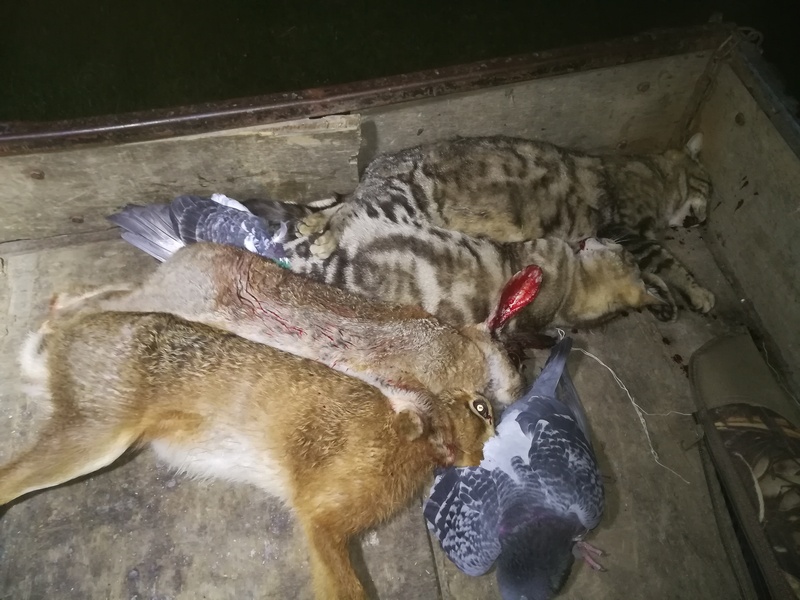 Got this one 2 evenings ago and three this evening with 3 shots. veitnamcam, Feather or Shoot, john m and 6 others like this. john m and FatLabrador like this. 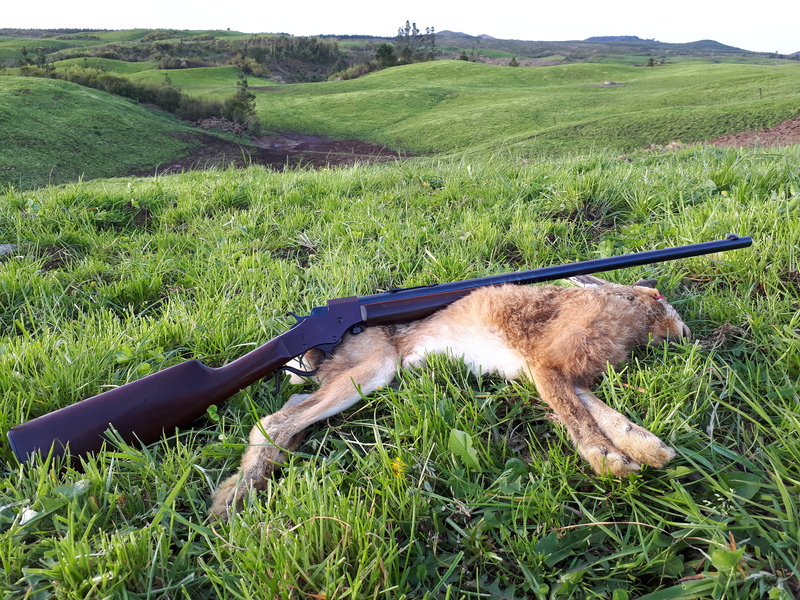 Muzzleloaders have always interested me but I have never even held one let alone fired one......what sort of range can you realistically 95% hit a rabbit in the front half at? I am not sure if original perhaps someone can tell by these photos. Im sure rabbits would be queuing up to be shot by that. 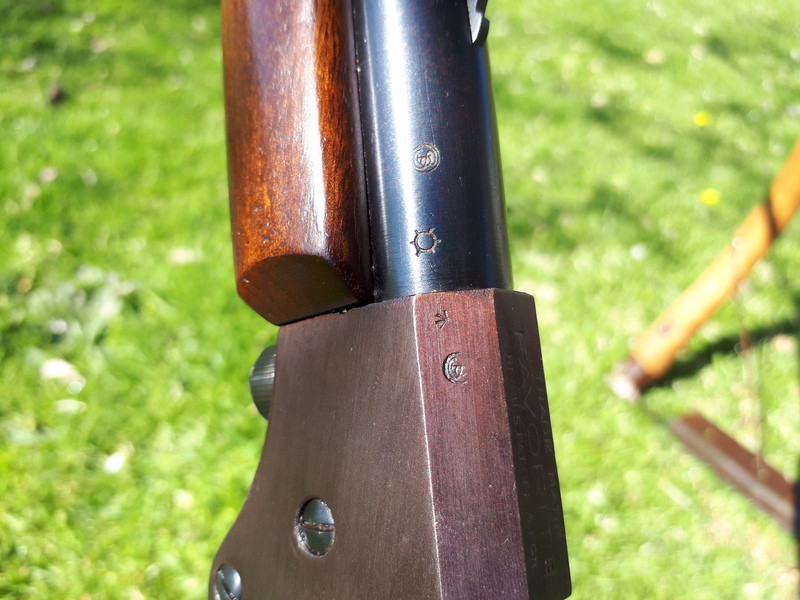 I'm using a ghost ring rear and globe front sight so not really what you would call precision. I could use one of my smaller globe insert discs and have finer accuracy. It's pretty well set up for bigger game. But out to 50m I'm running about 50% hits and inside 30m i get most things if they are stationary. 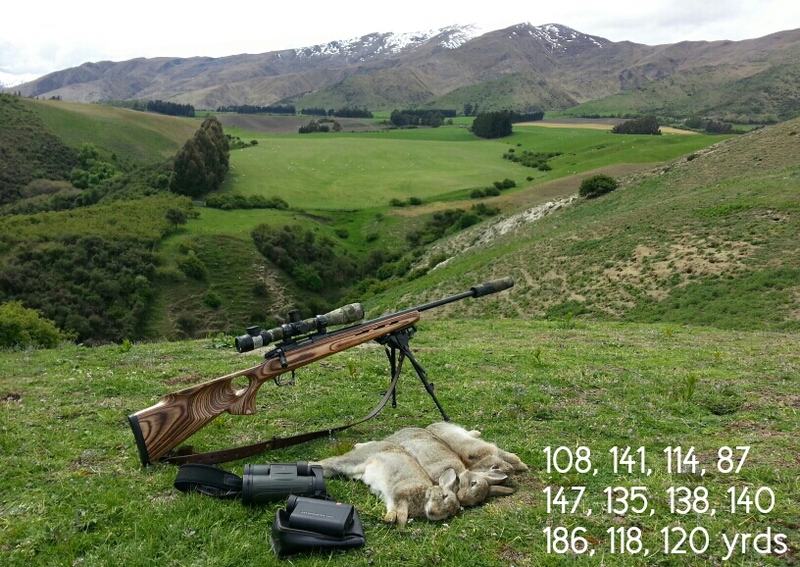 My longest hit was 88m on a hare with a good rest. I run it on scrap lead 320 grains @ 1350 fps with genuine black powder so you don't see much of what happens in the target zone. veitnamcam, Beaker, Marty Henry and 1 others like this. You should always shoot with an observer out to one side. That would be my dog then. Feather or Shoot, FatLabrador and berg243 like this. You could line up a pet food processor. They're after goats. Your could make a bit of money from it. Call them first though. I got told they have to know that some are coming in and you need to put ice bottles in their gut cavity. Heart and lungs left in. I looked into this. The conditions were too onerous. Our local pet food people struggle to make a profit probably or at least partly because they are held to too stringent carcass controls. (I’m assuming its imposed upon them by the authorities.) At the end of the day, once we’ve recovered all the goats (a lot shot well past 400m, too steep, too hard), additional fuel for the bikes, ute, ammo costs, additional time buggering around trying to keep everything cool, arrival of the blowies, etc etc, it wasn’t worth the hassle. Getting it to the processor in a timely manner was the biggest problem. So with goats I take what I need for my dogs, and for a couple of old blokes’ dogs that live nearby... I mince goat and venison scraps and cook it through, mix it with quality dog pellets and man are those dogs in good condition. The occasional young nanny is butchered for Jamaican got curry, very fussy about the condition of the animal though. 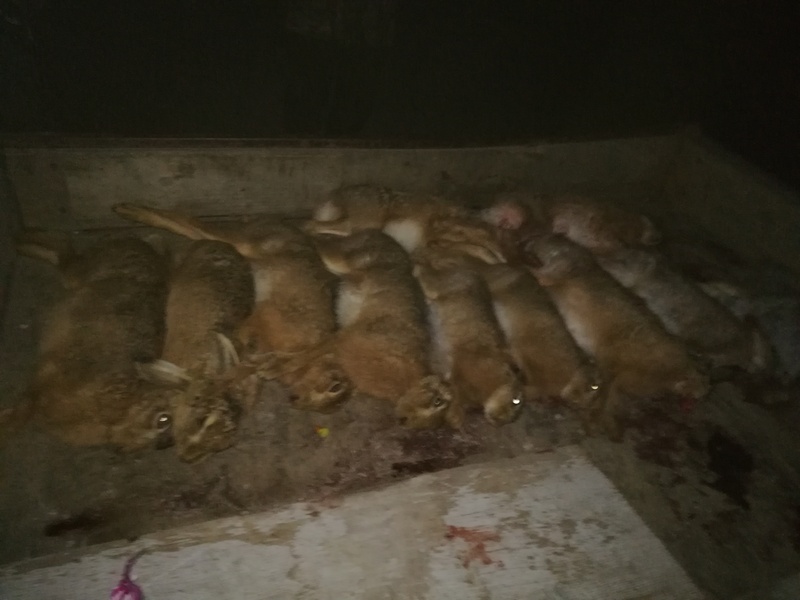 Looked at that here too, $1 per kg, head or neck shot only, gutted,hocked and deheaded pluck in no blowies, local kids were initally keen, not so much after 2 missions and $300 between 6. Its a pitty cause there a heap of them in the forestry. Keeps my dogs fed and also us with the good ones. Feather or Shoot, time out, Marty Henry and 5 others like this. veitnamcam, Feather or Shoot, GWH and 3 others like this. took down the first dozen hits today . . .
Good stuff .45 what's the rifle you got there? Bloody nice looking!! longest hit today was 192 yards. 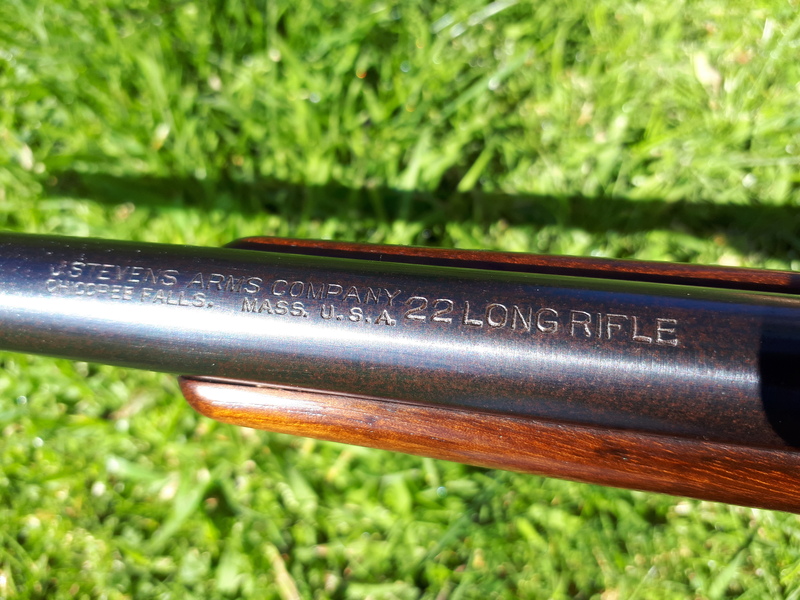 also have a .17hmr barrel for it . . . R.
veitnamcam, Feather or Shoot and kukuwai like this.